The Summer holidays are a great time to try out new books and I have been asked for some illustrated fiction recommendations for younger readers. 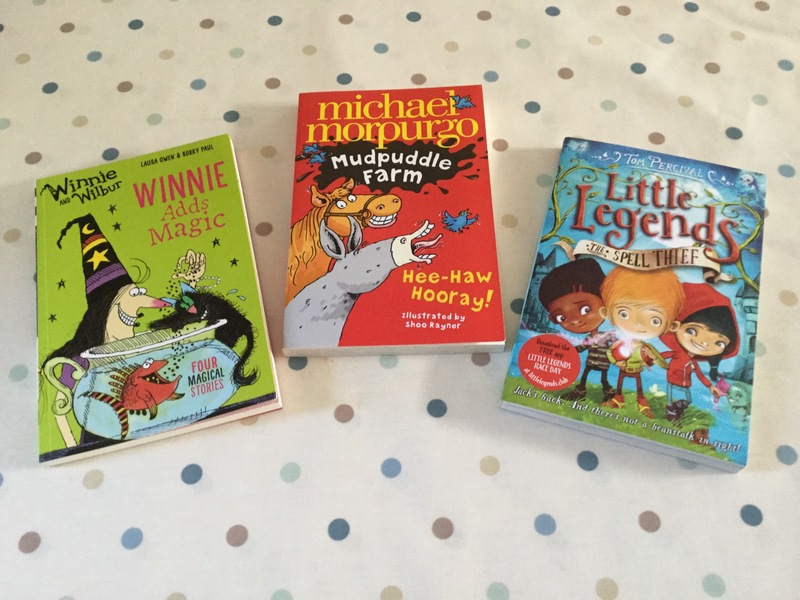 All of the books featured in today’s blog are suitable for children in either Key Stage 1 or lower Key Stage 2 (or even older, depending on the type of books that your children like to read) and should appeal to both girls and boys. 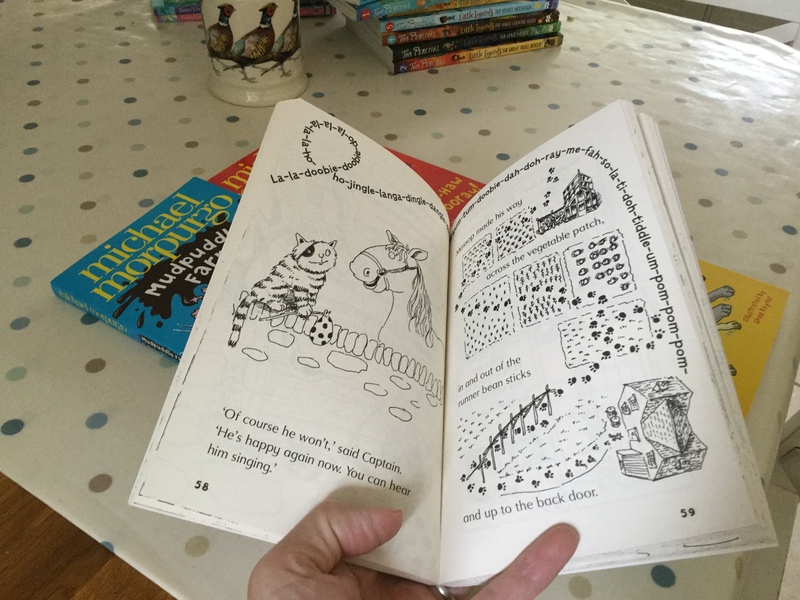 This particular age range covers a wide variation in terms of reading ability, and so I always include a picture of the text, as well as indicate the length of the story and number of chapters. Clicking on the page spread photos should enable you to open them up so that the text is easier to read. 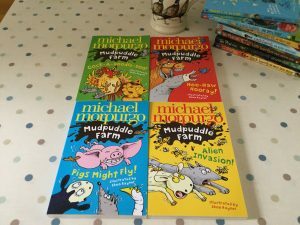 First up is the very talented Michael Morpurgo’s Mudpuddle Farm series, which is illustrated by Shoo Rayner and published by HarperCollins. As the title suggests, the series is about life on the farm, with entertaining and fun adventure stories written about the comical animals who live in the farmyard. 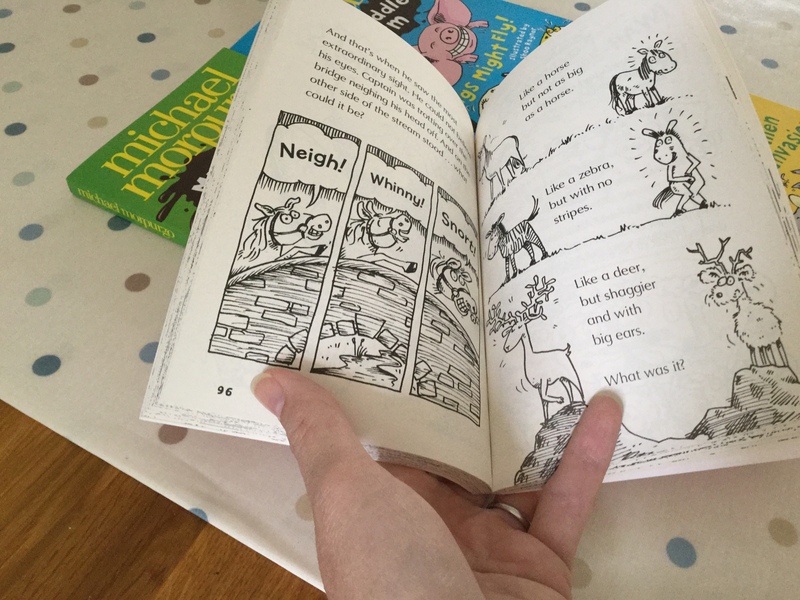 We love these books as they are funny, witty and full of quips that will appeal to parents as well as children. I was particularly tickled by the names of the Fox siblings: Vixen of Dock Green, Edward Fox, James Fox, Samantha Fox and my personal favourite, 20th Century Fox… Aside from the great writing, these books also stand out due to their interesting layout and Shoo Rayner’s brilliant illustrations. 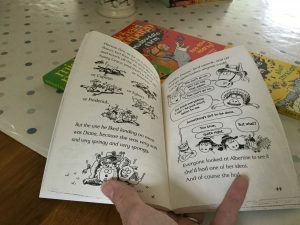 They are heavily illustrated in black and white and include lots of speech bubbles and different font sizes and in places have almost a comic-style feel to them, which should really appeal to young readers, as well as potentially attract any reluctant readers out there. 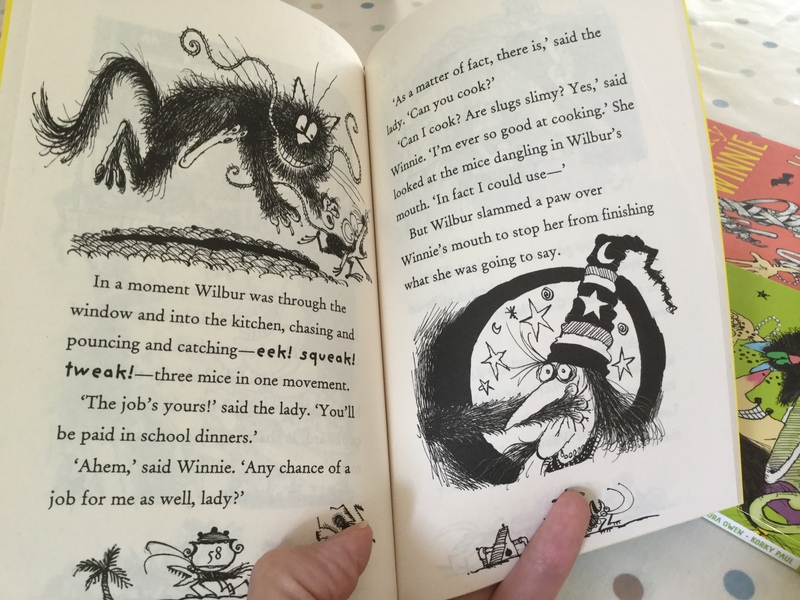 The stories also lend themselves to being read out loud, with ample opportunities for funny voices and sound effects. 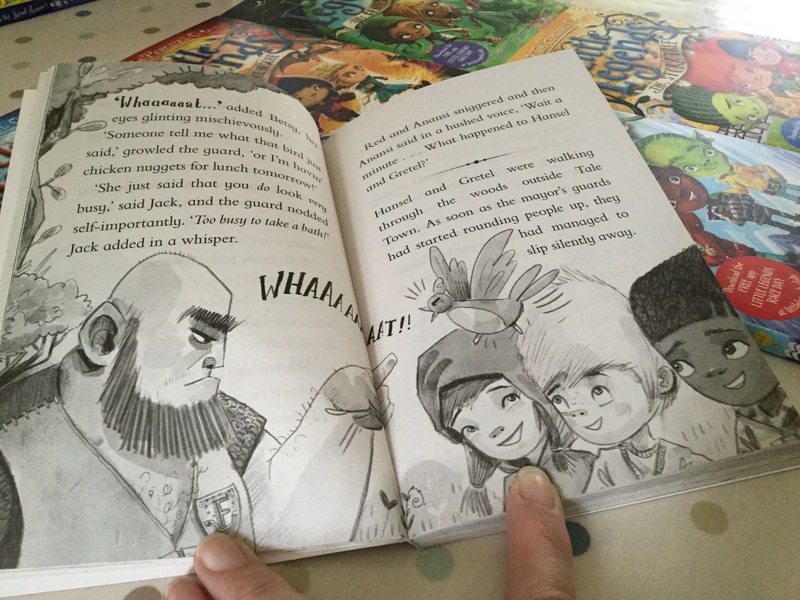 The versions we have include 2 stories per book, each around 70 pages and between 5-9 chapters. I bought our collection of 4 books from The Book People for about a fiver, so effectively £1.25 a book, which I think is really good value. If your children like humour, then they will love the hilarious antics of the Winnie and Wilbur stories. These are not the picture books written by Valerie Thomas, but longer stories for more independent readers, written by Laura Owen – they are still illustrated by Korky Paul, though (the illustrator of Sir Scallywag and the Golden Underpants). Now, these are not technically chapter books, but in my defence they have the feel of a chapter book as they are about 95 pages long, split into 4 stand-alone stories. 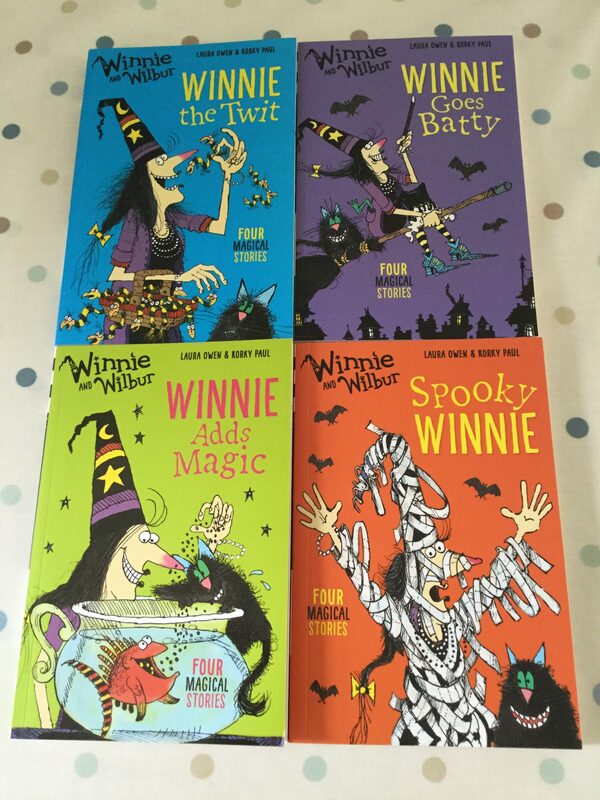 They are brilliantly written, full of antics, capers, hilarity and fab inter-play between Winnie (a witch) and her cat. 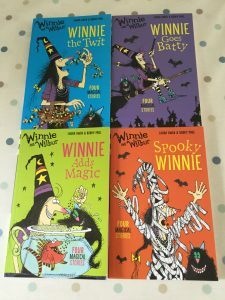 I particularly love Winnie’s comical expressions and these stories make both my son and daughter laugh every time I read them – ‘brillamaroodles’ as Winnie would say. There are lots of books in the series which can be bought individually, or sometimes The Book People sell collections of them at a much reduced price. 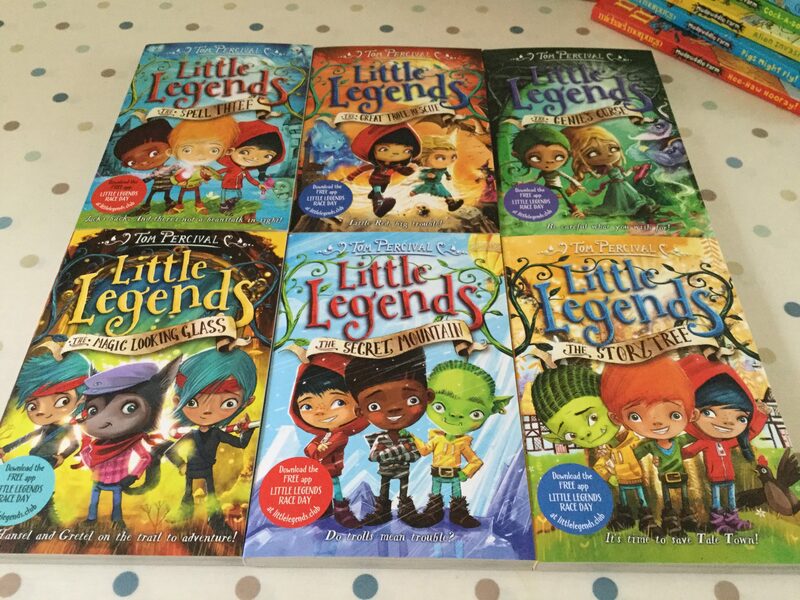 Last up is the Little Legends series, both written and illustrated by Tom Percival. 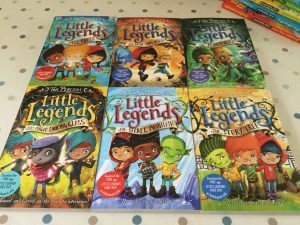 The series currently comprises 6 books that bring together the classic and the contemporary: all the well-known characters from fairy tales, such as Little Red Riding Hood, Jack (of beanstalk fame), Rapunzel and Hansel and Gretel, but set in all-new adventures. The stories are fast-paced and cover themes that are relevent to young children today, such as friendship (and the consequences of hurting someone’s feelings), acceptance and parental absence. Each character takes a lead in the book, but as all the other characters are heavily involved, the books do come across as gender-neutral. Published by Pan MacMillan, these highly-illustrated stories have circa 168 pages and 13/14 chapters. I hope that these recommendations are helpful. If none of these float your boat, then you could always check out some of my earlier illustrated fiction posts – just select the Illustrated category to the right of the blog, and look through the various books I’ve reviewed. Alternatively, please feel free to drop me a line either through the blog, or via the Merry Bookworm facebook page. I would be very happy to help you search for the right book for your young bookworms. Happy reading!